29 states, as well as Washington DC, have either a legal medical or an adult-use cannabis market already operating or about to commence operation soon. The popularity of medical cannabis is gaining huge momentum in the US as well as in many other countries around the world. Countries like Greece, Cyprus, Australia, Germany, and Poland have all kicked off some kind of a medical cannabis program in the last year. Uruguay has started supplying cannabis to its adult population from mid-summer this year and Canada will do the same for next summer. While the 19th Argentine Global Marijuana March in Buenos Aires attracted a crowd of 150,000 people earlier this year. It’s happening all around the world. Cannabis as medicine is taking the world by storm, however, it is still illegal on the federal level. It is still a Schedule I substance and states’ laws are miles ahead of the outdated federal cannabis laws. This huge difference in approach to cannabis (often exactly the opposite) between state and federal laws creates a large number of issues, one of which is that many cannabis tests by employers and by the police follow a zero tolerance marijuana testing policy. Legal medical cannabis patients are facing the possibility of losing their jobs and their licenses due to zero tolerance tests. For example, many employers have been following a zero-tolerance marijuana test, as the use of marijuana is a federal crime. The National Law Review has reported the first cases that are going through the courts and based on those cases, there is hope in sight. They have reported on a patient’s’ case that has recently gone through the Massachusetts Supreme Judicial Court. 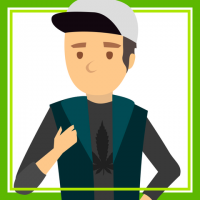 The patient, in this case, tested positive for cannabis due to her legal medical cannabis use to treat her Crohn’s disease and irritable bowel syndrome. The patient passed the interview and her employment was only subject to a compulsory drug test. She has told the employer that she was using medical cannabis for her condition and was assured that it would not be a problem. She began working in her new role and at the end of her first day she was told that she was fired due to testing positive for cannabis. The National Law Review reported that the Massachusetts Medical Marijuana Act did not provide protection for such cases, however, the Court did allow for her disability discrimination claim to proceed. The employer argued that the patient could not be classified as a ‘handicapped’ person as her choice of treatment is a federal crime and she was fired for testing positive for a federally illegal substance and not due to her disability. The Court did not accept this argument and concluded that according to state law, patients are allowed to use medical cannabis while off work. The final outcome of the disability discrimination claim could still take any turns, however, the fact that the Court used the state medical marijuana law to allow a disability discrimination case to proceed is encouraging. This decision is signaling a positive change as prior to this year, Courts in other jurisdictions simply enabled employers to maintain zero tolerance marijuana testing policies based on the federal law. The National Law Review reported on another case from New York, where a medical cannabis taxi driver was busted in July for driving under the influence of cannabis. The Taxi & Limousine Commission (TLC) withdrawn the taxi license of the patient due to the incident. The New York City’s Office of Administrative Trials & Hearings (OATH) has reversed this decision, sighting the New York Compassionate Care Act that states that patients may not be subjected to penalty or denied any right or privilege solely for the certified use of medical cannabis. States with legal cannabis laws do not report an increase in car accidents and it seems like Courts are starting to apply the state cannabis laws accordingly. 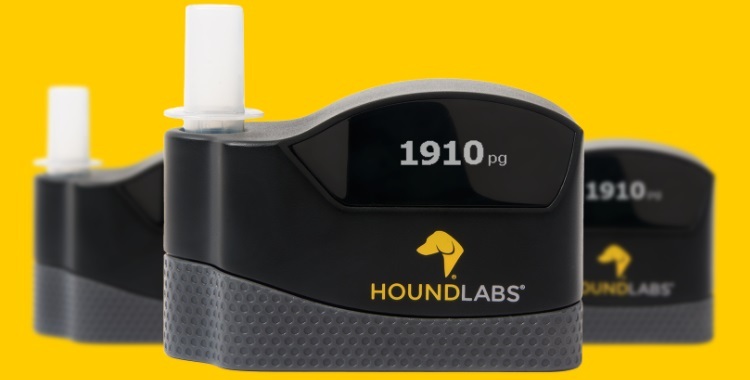 There are efforts to develop a proper cannabis breathalyzer, however, many jurisdictions around the world are still applying zero tolerance to cannabis while driving. There is positive news out of Australia as well, that is notorious for its zero-tolerance cannabis driving policy. 6 months minimum loss of driver license and a fine is the best case scenario if any traces of THC is present in your system while you are driving. In a recent case in New South Wales, Australia the magistrate applied common sense when the ‘offender’ could prove that he consumed cannabis as far as 9 days prior to being tested in a roadside drug test, he was not found guilty. The magistrate said it was an honest and reasonable mistake which is a defence to the strict liability offense of drug driving. Let’s hope that these cases keep continuing to bring the end of zero cannabis tests closer.